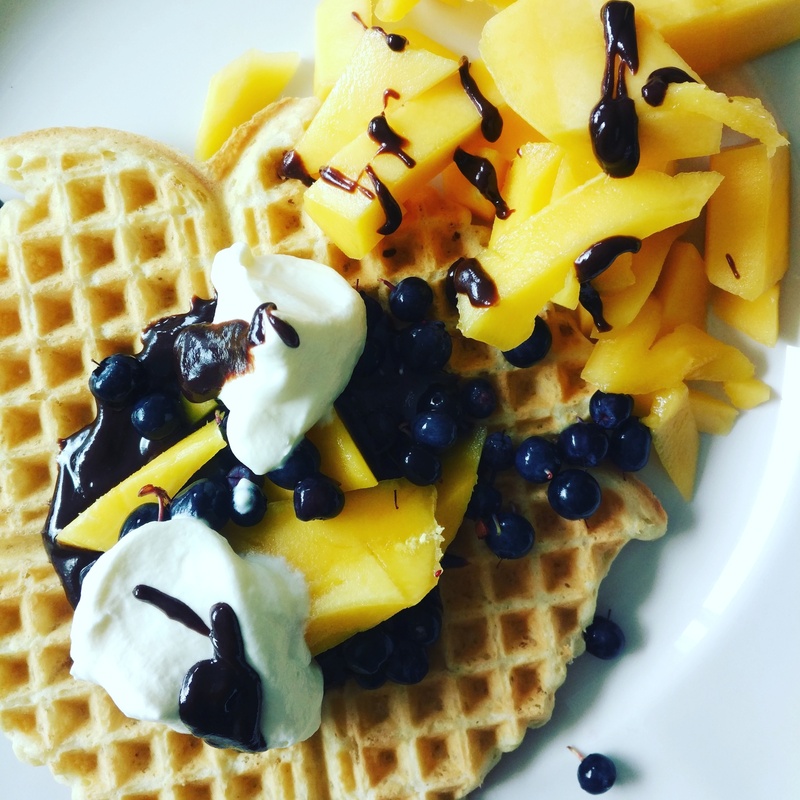 For those who cannot even tolerate the spelt waffles (they are much easier on the stomach than the typical wheat waffles since the gluten in spelt is water soluble) you do not have to despair! Heat your waffle iron, blend all the ingredients together and start baking your waffles. Lovely served with melted chocolate, whipped cream and fruits. I melt semi dark chocolate in a pot in just a little bit of almond milk. Or around 50-100g chocolate in around 3 tbsp of almond milk. Remember to watch the heat! .. & enjoy :) You can substitute some of the rice flour with organic almond flour if you like. No Replies to "Glutenfree waffles"